The VB-M600VE 1.3 MP fixed dome camera with vandal-resistant & IP66 rated body is ideal for harsh outdoor conditions. Monitor and record activity day & night with a 100� field of view & IR cut filter. How do we afford to protect our youngsters adequately in educational premises today? The answers are complex but the issue is one of real importance. Yale drives the digital revolution in the world of home security. At IFSEC 2013 HID Global, ABLOY, Yale, Mul-T-Lock, Traka and effeff are showcasing the cutting edge in access technology on one stand. See demonstrations of all the key products in Hall 4, at Stand C40 and C50. 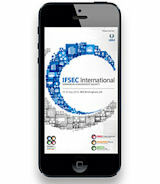 Download the IFSEC App now! We've launched a brand new app helping you to navigate to and around IFSEC International, plan your day, view the speakers and education, network with your peers, arrange meetings and discover what's happening on the show floor! Final preparations for IFSEC and FIREX International, the biggest week in our calendar, are under way, and I'm really excited to be able to give you a little teaser of some of the things we'll be up to next week. Feature your company in the IFSEC Global Directory and build your showcase to promote and market products to potential buyers. 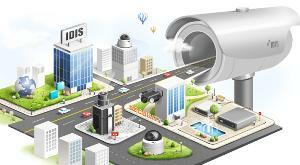 IDIS is an established global security solutions company, which designs, develops, manufactures and markets security surveillance solutions. Since our inception in 1997, we have grown to become the worlds No.1 DVR manufacturer with an annual turnover of $140 Million. 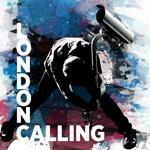 We specialise exclusively in surveillance technology from cameras, DVRs to video management software.